Officials in northern Sri Lanka’s Vavuniya District say 60 percent of the rice harvest could be lost if the dry weather continues. “In Mannar District [in the north] we have records indicating that between 5,000 to 6,000 paddy hectares of the cultivated 10,000 are lost,” Ravi Vinanithambi, an environment officer for the North East Reawakening Programme (NERP - part of the Ministry of Economic Development), told IRIN. Residents report no significant rain in the region for over eight months. 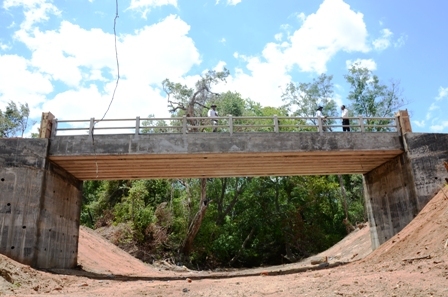 In some villages like Visvamadhu in Kilinochchi District, they say the last rains of any substance were in September-November 2011. “This year has been a big problem because most of the people in the region depend on agriculture heavily,” Vinanithambi said, noting despite some rains earlier this week,they needed several weeks to fill dried-up wells and reservoirs. According to the most recent Sri Lanka Labour Force Survey released on 11 October by the government’s Census and Statistics Department, more than 37 percent of the over one million people in Northern Province depend on agriculture as their main source of livelihood. Livelihoods are a key issue in the government’s reconstruction efforts in the north, where more than 440,000 internally displaced persons (IDPs) have returned to their places of origin, three years after government forces declared victory over the Liberation Tigers of Tamil Eelam (LTTE), who had been fighting for an independent Tamil homeland for more than 25 years, says the UN Office for the Coordination of Humanitarian Affairs (OCHA). Of 390,000 hectares of paddy across the island, over 43,000 have already been destroyed by drought, according to the Department of Agriculture. A Joint Humanitarian Recovery Update released by OCHA on 21 September said that a “23 percent production loss due to drought, from the expected production of 1.57 million metric tonnes”, was feared, citing reports from the Agriculture Department. However, according to Merril Perera, a project engineer for NERP, the impact on farmers in the north will probably be greater. “The war devastated the infrastructure and the drought has killed off the one thing that was getting an income - agriculture,” he said. He also warned that current losses calculated by the government only looked at crop losses, while the real effects were much wider. “We have not looked at loss in yields, stress on family savings, transport industry, the impact on coping capacities and possible increase in government welfare spending,” Perera said. According to a March 2012 nutritional report compiled by the UN Children’s Fund, the World Food Programme and the Ministry of Health, at least one fifth of households in Northern Province were engaged in paddy cultivation. Moreover, one third of households surveyed had indicated they would like to get into paddy cultivation. One third of the households were also reliant on home-gardening as an income source, the report said. Meanwhile, the practical impact of drought is taking its toll on local communities like the village of Kalagosweva, about 20km from Vavuniya. “There are 22 wells here. All are dry,” said village resident Badaralge Badralatha. Her family has already lost two hectares of paddy and about 30 banana plants. “I have already pawned my jewelry. Next will be my land,” said the recent returnee. Public officials say a better long-term weather forecasting mechanism is vital. “If we had prior knowledge that the weather was going to be dry, we could have warned villagers to take mitigation measures,” Vinanithambi said. According to W. L. Sumathipala, former head of the Climate Change Unit in the Ministry of Environment, Sri Lanka will probably experience longer than usual drought periods in the coming years; an increased minimum air temperature; high intensity rains; and high variability in rainfall patterns.